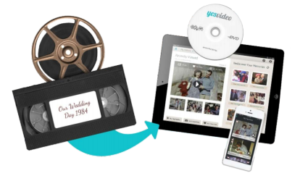 Convert your personal home VHS tapes to digital format (MP4) or DVD. We will supply the DVDs, but please bring a flash drive if you want it converted to MP4. Limit 3 tapes per person/per month. Call or visit the 3rd floor Riverfront Library reference desk.